In order to underline the strength of the strategic and friendship bond that is uniting Romania and Kazakhstan, in agreement with the leadership of Institute of International Relations and Economic Cooperation, it was decided that on 6 December 2014 in a special session , senator Ionel Agrigoroaei to present to Romanian Parliament the message presented by H.E. 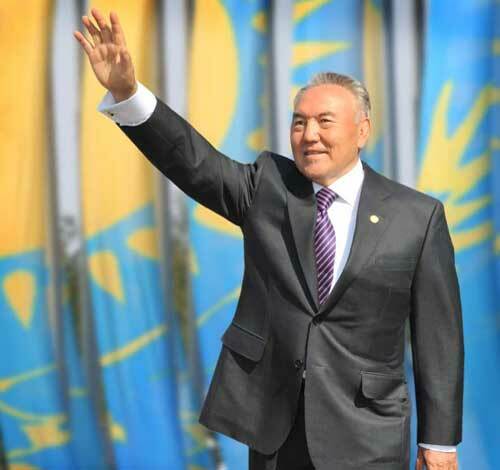 President Nursultan Nazarbayev of Kazakhstan, on the occasion of launching a new economic policy for his nation under the name of Nurly Zhol ( Bright Path). Senator Ionel Agrigoroaei is presenting to Romania`s Parliament the message of Kazakhstan President Nursultan Nazarbayev. 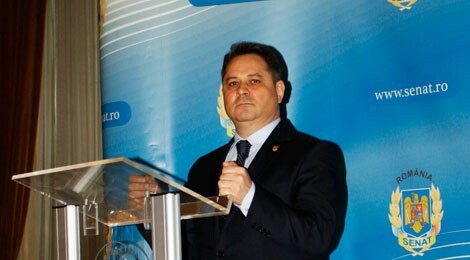 Senator Ionel Agrigoroaei was selected to read out the message to the parliament as it was the uncontested leader of efficiency in parliamentary activity in the last two years and was recognized as a leader of parliamentary diplomacy. We must underline that is for the first time in Romanian history when the message of an international leader is read out for the benefit of the Romanian Parliament. This is an outspoken proof of the importance of the strategic relation that is uniting our country and Kazakhstan but also a clear demonstration of the admiration nurtured by the Romanian political elite for the impressive personality of the Kazakh leader, creator of modern day Kazakhstan-H.E. Nursultan Nazarbayev. We are presenting you the full message of H.E. Kazakhstan President Nursultan Nazarbayev as it was read out in the session of Romanian Parliament. The world is facing new challenges and threats today. The world economy has still not recovered from consequences of the global financial and economic crisis. The recovery continues at a very slow and uncertain pace, and some countries remain in decline. The geopolitical crisis and the sanctions policy of the leading powers create an additional obstacle for the recovery of the world economy. From my experience, I feel that the years to come will become the time of global trials. The entire architecture of the world will be changing. Not all countries will be able to get through these complications in a decent manner. Only strong states, with their people united, will manage to do that. Kazakhstan, as a part of the world economy and a country located very close to the epicentre of geopolitical tensions, is experiencing negative pressure from all these challenges. We see the results: prices in global markets are dropping, and general economic growth is slowing down. As is known, the forecasts of the development of the global economy for 2014 and the next two years were revised downward by the International Monetary Fund and the World Bank. That means we need to revise our own plans, and make adjustments for the coming period. There is no time for hesitation. The measures I will talk about today will be implemented from January 1, 2015. We must promptly take all the possible measures to prevent negative trends. Today the Government is already working quickly at my order. We have revised the parameters of the republic’s budget for 2015. And this is right, as the drop in prices of our export raw materials has led to the reduction of the flow of money to our income. At the same time, the Government have a tough yet specific task: it must fulfil all social liabilities in full. In a crisis, as we’re seeing the world over, economic policies must be re-evaluated. The sectors that need support are those which create the highest multiplier effect on economic growth and employment. We have already had such an experience. Suffice it to recall our successful anti-crisis measures in 2007-2009. As you see, life makes adjustments to the best laid plans. And we should add new content to the platform of our party based on today’s reality. On my orders, the Government has completed the development of a new large-scale development programme. Today, as we respond to the challenges we face, I proclaim Kazakhstan’s New Economic Policy “Nyrly Zhol” (The Bright Road). This is what I devote my state-of-the-nation address for 2015. The policy will have a counter-cyclical character and will be aimed at continuing structural reforms in our economy. What does this mean? Over the years, when the situation in external markets was favourable, and the price of oil and our export products were at sufficiently high level, we diverted revenues from those exports to the National Fund. One of the main tasks of the National Fund is to increase resistance of our economy to external shocks, including when prices of natural resources drop. We were putting income from extraction and sales of raw materials into this Fund during all these years. We used 10 billion US dollars out of the National Fund to fight the crisis of 2007-2009. As for the rest of the money, we have not spent it. We saved and multiplied it. Now we are in the period when we must use these reserves. They will help overcome uneasy times and stimulate the growth of our economy. These resources are not intended for short-term measures. We will spend them on the transformation of our economy, namely – the development of transport, energy, industrial and social infrastructure, and small and medium businesses. First, 100 billion tenge should be additionally allocated to issue easy-term loans to small and medium businesses, as well as large enterprises. This will secure the implementation of projects in the food and chemical industries, engineering, as well as the service sector. Second, to revive the banking sector and buy out “bad” loans, I have ordered additional capitalisation of the Fund of Problem Loans in the amount of 250 billion tenge in 2015. Third, to raise new investments, we need to improve respective conditions. For these purposes, I have ordered the government to allocate 81 billion tenge in 2015 to complete the construction of the “dry port” complex, the infrastructure of the special economic zones at Khorgos – East Gate and the National Industrial Petrochemical Technological Park in Atyrau and Taraz. Fourth, to continue the construction of the EXPO-2017, I have ordered the allocation of 40 billion tenge in 2015 adding to the already allocated 25 billion tenge. Fifth, on the eve of EXPO-2017, we need to take care of the development of Astana’s transport infrastructure. This year the capital airport will reach its maximum capacity – 3.5 million people. Therefore, to increase its potential, I have ordered the allocation in 2015 of 29 billion tenge on the construction of a new terminal and a reconstruction of the landing strip. This will allow us to increase airport capacity to 7.1 million of passengers per year by 2017. In view of new external risks for the development of our economy, we need new initiatives to stimulate business activity and employment. The Infrastructure Development Plan, which I want to make public today, will become the core of the New Economic Policy. It is intended to last for five years and is to run in parallel with the Second Five Year term of the Programme of Accelerated Industrial and Innovative Development. More than 100 foreign companies intend to participate in its implementation. The total investment portfolio will make 6 trillion tenge, with the state contributing 15 per cent of the total. Kazakhstan owns a territory so vast it would tire the wings of a bird to fly over it. Thus, this plan requires huge funds and hard work. There is a saying: “If you want to know a nation’s prosperity look at its paths.” Road connections are of high importance, not only for travel, but also for the transportation of goods. In ancient times our big cities were located along the Great Silk Road. Nowadays, all essential life depends on access to the main highways. Roads are the essence of life, the source of a modern existence. All the regions of Kazakhstan need to be closely connected by railroads, highways, and air services. The nine roads, connecting with each other in Astana are like the roots of life, spread our capital’s creative spirit. Improving interconnectivity between the regions will eventually lead to a greater domestic well-being. It will strengthen trade and economic ties between the regions. There will be new markets emerging from inside the country. Therefore bringing together distant parts is the main focus of today’s address. First, the development of transport and logistics infrastructure will be formed around regional hubs, connected through Astana as the central hub and backbone by highways, railways and airlines. But first, we need to implement the main road projects. They are Western China to Western Europe; Astana to Almaty; Astana to Ust-Kamenogorsk; Astana to Aktobe to Atyrau; Almay to Ust-Kamenogorsk; Karaganda to Zhezkazgan to Kyzylorda; Atyrau to Astrakhan. It is also necessary to continue the creation of a logistical hub in the east and marine infrastructure in the west of the country. The large-scale ferry site from Kuryk and the railway line from Borzhakty to Yersai will contribute to the growth of exports to the west through ports in the Caspian Sea. I have ordered the Government to work on the construction or rental of terminals at dry and sea ports in China, Iran, Russia and the EU. Second, development of industrial infrastructure. The implementation of infrastructure projects will produce big demand for construction materials, products and services for transport, communication, energy, housing and utility areas. So, firstly, we need to complete our work on the formation of infrastructure in existing special economic zones. The Government and the akims (governors) need to work in a timely manner to fill those zones with concrete projects. Secondly, they need to explore the possibility of constructing new industrial zones in regions aimed at the development of production facilities of SMEs and raising extra investments. Tourism infrastructure is a separate line. Its main advantage is the opportunity to create jobs. The creation of one job here costs 10 times less than in industry. Third, the development of energy infrastructure. Extensive work has been carried out within the framework of the industrialisation programme in energy in the past five years. Nevertheless, limited transmission systems create a deficit of electric energy in the southern regions of the country and of natural gas in central and eastern regions. We need to focus on two projects. To construct high voltage lines Ekibastuz – Semey – Ust-Kamenogorsk and Semey – Aktogai – Taldykorgan – Almaty. This will create a balanced energy supply from Kazakh power plants to all regions of the country. Fourth, the modernisation of housing and utilities infrastructure and water and heat supply networks. The total demand for investments makes no less than 2 trillion tenge with annual allocation till 2020 from all sources of founding of no less than 200 billion tenge. Today we see significant interest in investing in the modernisation of housing and utilities from the European Bank for Reconstruction and Development, the Asian Development Bank, the Islamic Development Bank and private investors. We need to ensure their maximum involvement through the provision of long-term investment rates. Such projects should be co-funded by the state to prevent significant increases in rates. We should allocate up to 100 billion tenge each year to accelerate the level of modernisation in our heat and water supply systems, in addition to the funds already envisaged in the budget. Fifth, the strengthening of housing infrastructure. The formation of urban centres is accompanied by a significant cross-flow of the population. This creates pressure on the labour market and city infrastructure, including on the housing fund. Therefore, our approach to construction of rental housing should be revised. The state will construct social housing to rent out and provide to the population for long term rent with the right to buy it. The provision of housing directly, without mediators, with low-interest loans will allow us to reduce the cost of acquisition. No first instalment and low mortgage interest will make housing more affordable for various strata of the people of Kazakhstan. Therefore, we will additionally increase funding of construction of rental housing for the amount of 180 billion tenge during 2015-2016. Sixth, development of social infrastructure. We must resolve the issues of unfit schools and three-shift education, as we set out in our election platform. The funds envisaged in the 3 year budget do not let us to resolve this problem by 2017. Therefore, I have ordered the Government to allocate another 70 billion tenge. Another matter is the lack of kindergartens. I instruct to allocate an additional 20 billion tenge to reduce the deficit of places in preschools within 3 years. Akims must deal will this as much as possible and attract the private sector. Ten higher education institutions were defined within the framework of the industrialisation programme based on which the link between science, economic sectors and personnel training will be ensured. I have ordered the Government to create the material and technical framework of these education institutions, allocating up to 10 billion tenge by 2017. Seventh, we need to continue the work to support small and medium businesses and business activities. As of today, the 100 billion tenge from the National Fund aimed at supporting and crediting small and medium enterprises has been fully used. This allowed us to create more than 4,500 jobs. The demand for these funds exceeded the supply by 23 billion tenge. The unprecedented conditions providing credit for businesses at 6 per cent for 10 years were created. There were no such conditions in our country before. We should continue our work to develop small and medium businesses as a driver of economic growth and increase their share to 50 per cent of GDP by 2050. Therefore, we need to use credit facilities for small and medium businesses more effectively at the account of the ADB, EBRD, and the World Bank for the total amount of 155 billion tenge in 2015-2017. The situation in the world economy makes it sufficiently hard to achieve our goals without extra financial resources. There was a reason why we established the National Fund. It was mainly aimed at providing stable social and economic development, and protecting our country’s economy from unpredictable circumstances. Right now, it is high time to use this fund for our needs. Kazakhstan should avoid repeating the mistakes of other countries. We have to use our internal resources for economic growth efficiently. I have made the decision regarding additional allocation of 3 billion US dollars from the National Fund for the period from 2015 to 2017. I have ordered the Government to prepare respective decisions for the allocation of funds from the National Fund and to take into account the required funds in the draft national budget for 2015 within a week. The Government should also undertake measures and ensure effective and rational use of these funds. The commission created by me will strictly monitor the effective use of the funds and report to me personally. I will request a report about every tenge spent. Special responsibility is imposed on all the akims. Nur Otan must actively get involved into this work and to establish strict party control at all levels. I am entrusting the Government with ensuring that National Fund resources are allocated efficiently and appropriately to the relevant areas. Every tenge will be under strict control. Nur Otan should take an active part in it, and monitor it closely for the party. The investments from the National Fund must be accompanied by structural reforms in the economic sectors. We need to ensure joint implementation of projects with international financial organisations. For instance, the World Bank, the Asian Development Bank, the EBRD and the IDB are ready to allocate about 9 billion dollars for 90 priority projects. The allocated funds should support investment activities, prevent a drop in population’s income and stimulate the creation of new jobs. This will result in sustainable economic growth in the short and medium term. Our education, health care and agriculture development programmes will continue. We will have a substantial discussion about this at the first extended meeting of the Government next year. The New Economic Policy “Nurly Zhol” is our global step on the path to become one of 30 most developed countries of the world. All the necessary conditions for successful work have been created. Administrative reforms were carried out, and the new structure of the Government and executive power is working. Every minister knows what to do. We removed redundancy and unnecessary links in management. Akims have the necessary scope of authority. The regions have everything – programmes, resources, finances. Everybody is responsible for their area of work. They now need to knuckle down and set to work. The New Economic Policy “Nurly Zhol” will become a driver of the growth in our economy during the coming years. 200,000 new jobs will be created by the construction of roads alone. And this means greater employment and growth of income for the population. “Nurly Zhol” will create a multiplier effect in other economic sectors: production of cement, metal, machinery, bitumen, equipment and related services. Roads are lifelines for Kazakhstan. Life has always emerged and developed in our vast expanses around roads. We must create such a transport network that car, railway and air lines stretch to all directions from Astana. Like arteries from the heart. Like rays from the sun. The new lines built by the people of Kazakhstan will renew our economy and community. They will firmly link all the corners of our country with its centre. Cargo traffic will accelerate and increase. The volume of transit through the country will grow. Our citizens will drive on modern and quality highways, and will be able to get to any region quickly and safely. Social infrastructure will improve, new and modern schools and hospitals will provide high-quality services. Finally, this will affect the welfare and the quality of life of each citizen of Kazakhstan. And the main thing is all of this will remain in our land as wealth of our future generations. There is large and important work in front of us. We must be united to pass this global exam. We must strengthen trust among all the people of Kazakhstan! Be tolerant to each other! These are keys to Kazakhstan’s future. Interethnic harmony is oxygen. We never notice it, when we breathe, we do it automatically – we just live. We must safeguard our unity and our interethnic harmony. No outsider can come and do this for us. Our young grow in a new and independent country. The younger generation did not witness interethnic war or conflict, the devastation of 1990’s. Many people perceive stability and comfortable life in Kazakhstan as something given since their birth. For what are stability and harmony? It is family welfare, safety, a roof over our head. Peace is the joy of paternity and maternity, health of parents and happiness of our children. Peace is stable work, wages and feeling confident about the future. Peace and stability are the achievement of our entire population, which must be protected and reinforced by everyday hard work. I always say: the young are the foundation of our future. The state has opened up all the doors and all the paths to the new generation! Nurly Zhol is where our creative and dynamic young can invest their efforts and develop! Next year we will solemnly celebrate 20 years since the adoption of the Constitution and the creation of the Assembly of the People of Kazakhstan. When we celebrate these dates, we should make the people of Kazakhstan spiritually stronger, united, and even more tolerant. I am convinced that our core principle – Kazakhstan, Only Ahead! – will sound in a new way and will acquire a deeper meaning at this new important turn of our history! I wish success and reaching new heights to all of you, because they will raise our Homeland even higher! We are united by our national idea – Mangilik El (Eternal Nation), making its way to the independent development of “Nurly Zhol”. To follow this path we need to work hard, and to unite our efforts on the way to a brighter future. The Eternal Nation is a unifying force and an inexhaustible source of energy. It is the basis for not only the “Kazakhstan 2050” Strategy, but also the strong ideological foundation of Kazakhstan’s Statehood in the 21st century! The Eternal Nation is itself the source of a new Kazakhstan Patriotism. It is a great principle for the entire society of Kazakhstan. Adoration for our historical past, pride for today’s fortunes, and faith in our blossoming future – are all covered by the powerful concept of “Mangilik El” (The Eternal Nation). Love for the fatherland is respect for the great legacy of our ancestors, keeping it as safe as the apple of your eye, making a contribution to its development, and passing it on to future generations. This is the ultimate goal of all Kazakhstan. The foundation of the idea of the Eternal Nation runs very deep. Thirteen centuries ago, the sage Tonykok stated the “Eternal Nation is the goal of all Turkic people.” This means that our national idea, just as the roots of our nationhood, originates from our ancient history. The unity of the people, that’s what makes a viable national idea. Where there is no unity, and discord flourishes, no national ideas can ever come to life. Unity and prosperity are the main reasons for of the great success achieved by Kazakhstan. Today, thanks to our respect for stability, we have managed great strides forward. Humiliating nobody, denying nobody’s language or cultural heritage, while giving all citizens equal opportunities, helps us strengthen the stability of our country. National unity must be our main treasure to pass on to future generations. We must nurture the concept of national values in the mind of every young person. Pentru a sublinia puterea legăturii strategice şi de destin ce uneşte România şi Kazahstanul, în acord cu conducerea Institutului de Relaţii Internaţionale şi Cooperare Economică, s-a decis ca în data de 6 decembrie 2014, Senatorul Ionel Agrigoroaei să prezinte în faţa Parlamentului României, Mesajul adresat de Preşedintele Kazahstanului-Nursultan Nazarbayev cu ocazia lansării unei noi politici economice pentru ţara sa-Nurly Zhol (Calea Luminoasa). Senatorul Ionel Agrigoroaei prezinta parlamentarilor mesajul Nurly Zhol al Presedintelui Republicii Kazahstan-Nursultan Nazarbayev. Senatorul Ionel Agrigoroaei a fost ales să dea citire acestui mesaj datorită faptului că este liderul de eficienţa al Parlamentului României, ales drept cel mai bun parlamentar pentru doi ani consecutiv pentru activitatea sa în sfera diplomaţiei parlamentare. Trebuie să menţionăm că este pentru prima dată în istoria României când mesajul unui lider internaţional este prezentat în faţa Parlamentului, ceea ce reprezintă o dovadă clară a relaţiei strategice ce uneşte ţara noastră de Kazahstan şi dar şi a admiraţiei nutrite de elita politică a României pentru personalitatea liderului kazah, creatorul Kazahstanului modern-Nursultan Nazarbayev. La ora actuală lumea se confruntă cu noi riscuri și provocări. Economia mondială nu și-a revenit, încă suportă consecințele crizei financiare și economice globale. Redresarea se produce într-un ritm foarte lent și lipsit de siguranță, iar pe alocuri declinul continuă și astăzi. Criza geopolitică și politica statelor dezvoltate în ceea ce privește aplicarea de sancțiuni creează impedimente suplimentare pentru redresarea economiei mondiale. În urma dispozițiilor mele, Guvernul a finalizat elaborarea unui nou program amplu de dezvoltare. La ora actuală, ca răspuns la provocările cu care ne confruntăm, declar lansarea unei Noi Politici Economice a Kazahstanului: Nurly Zhol. Acesteia îi dedic noul meu Mesaj către popor pentru anul 2015. Ea va avea un caracter contracriza și se va concentra pe continuarea reformelor structurale din economia țării noastre. Având în vedere noile riscuri externe cu care se confruntă dezvoltarea economică, avem nevoie de inițiative noi în vederea stimulării activității de business și ocupării forței de muncă. Coloana vertebrală a Noii Politici Economice va deveni Planul de Dezvoltare a Infrastructurii, pe care astăzi doresc să îl fac public. Este un plan pe 5 ani și coincide cu cel de-al Doilea cincinal de implementare a Programului de Dezvoltare Industrial-Inovațională Forțată, la care intenționează să participe peste 100 de companii străine. Portofoliul total al investițiilor constituie 6 trilioane de tenge, în cadrul acestuia cota statului reprezentând 15%. Kazahstanul deține un teritoriu de necuprins: pentru survolarea acestuia, unei păsări îi amorțesc aripile. De aceea implementarea planului menționat necesită resurse și eforturi uriașe, precum și o activitate ce presupune concentrarea forțelor pe toate direcțiile. S-a împământenit regula că «Dacă vrei să afli viitorul țării, uită-te la drumurile acesteia». Comunicațiile rutiere au o deosebită semnificație pentru realizarea legăturilor și schimburilor. În timpurile străvechi majoritatea orașelor noastre mari erau situate de-a lungul Marelui Drum al Mătăsii. Orientându-ne către ideea noastră generală pe plan național de «Mangilik El» am transformat calea dezvoltării independenței noastre în «Nurly Zhol». Trebuie să ne consolidăm unitatea și să lucrăm în permanență în scopul asigurării unui viitor prosper. «Mangilik El» reprezintă forța unificatoare a națiunii, un izvor nesecat de energie. Este un piedestal neclintit de idei nu numai pentru strategia «Kazahstan 2050», ci și pentru statul Kazahstan din secolul XXI. Noul Patriotism Kazahstanez – acesta este «Mangilik El»! Este o valoare măreață a întregii societăți kazahstaneze. Noțiunea puternică de «Mangilik El» include și tributul respectului pentru istoria noastră, și mândria pentru fericirea noastră din prezent, și încrederea într-un viitor prosper. Dragostea de țară reprezintă respectul unei moșteniri mărețe primite de la strămoși, păstrarea acesteia ca pe lumina ochilor, aducerea propriei contribuții, dezvoltarea acesteia și transmiterea către generațiile ce vor urma. Acesta este adevăratul sens al eforturilor tuturor kazahstanezilor! Atât ideea noastră națională, cât și rădăcinile statului nostru arată că toate aceste lucruri provin din istoria străveche. Unitatea poporului conferă ideii naționale viabilitate și durabilitate. Acolo unde nu există unitate, în schimb există dușmănie, niciodată nu a fost dusă la îndeplinire ideea națională. Unitatea și belșugul reprezintă principala bază a ascensiunii Kazahstanului către vârf și a cuceririi de noi înălțimi. Am atins performanțele actuale datorită înțelegerii noastre conștientizate a ideii de stabilitate. Fără a aduce vreun prejudiciu celorlalți, ci prin respect față de alte limbi și religii, prin acordarea de condiții egale pentru toți cetățenii ne dezvoltăm stabilitatea. Moștenirea și învățătura pe care dorim să o transmitem generațiilor viitoare trebuie să devină principala noastră bogăție: Unitatea poporului. Trebuie să le insuflăm tuturor aceste valori la nivel național. Anul 2015 este un an aniversar pentru înălțarea istoriei noastre naționale și pentru evaluarea actualelor înălțimi atinse. Vom sărbători 550 de ani de la înființarea Hanatului Kazah, 20 de ani de la crearea Adunării Poporului din Kazahstan și adoptarea Constituției noastre și 70 de ani de la Marea Victorie. Aceste etape istorice au o semnificație deosebită în educarea generației în spiritul noului Patriotism Kazahstanez. Am declarat anul 2015 ca an al Adunării Poporului din Kazahstan. Integritatea și unitatea, pacea și înțelegerea poporului – acestea sunt obiectivele principale. Unitatea poporului reprezintă cheia succeselor noastre comune. Modelul kazahstanez de dezvoltare stabilă reprezintă la ora actuală un model pentru întreaga lume. Prin sărbătorirea a 25 de ani de independență a Kazahstanului și prin asigurarea succesului expoziției internaționale EXPO-2017 vom dovedi întregii lumi care este potențialul țării noastre. Fie ca drumul nostru măreț să fie încununat de succes, iar viitorul să fie luminos. Vă doresc tuturor succes în îndeplinirea dezideratului conținut în mesajul «Nurly Zhol»!